Looking for membership of a premier club? – why consider anywhere else? 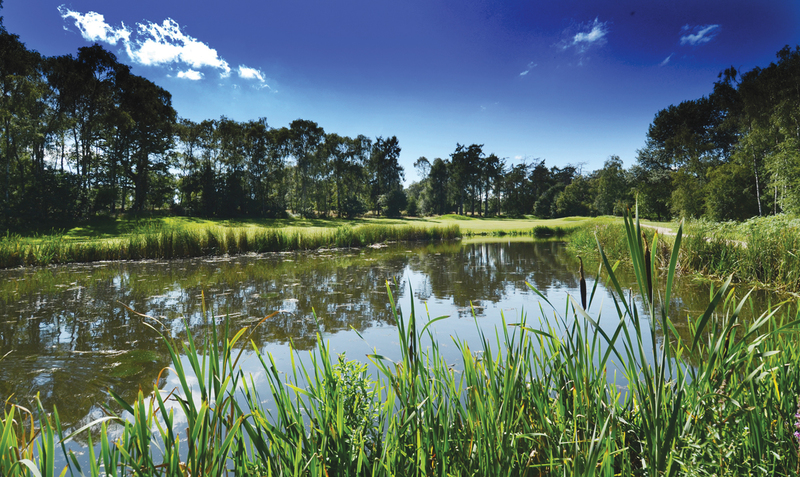 The club has two outstanding 18 hole courses presented in the highest order by our greenkeeping team. The Highgate, with a par of 72 and a Standard Scratch of 74. The Lodge has a par of 71 and Standard Scratch of 72. 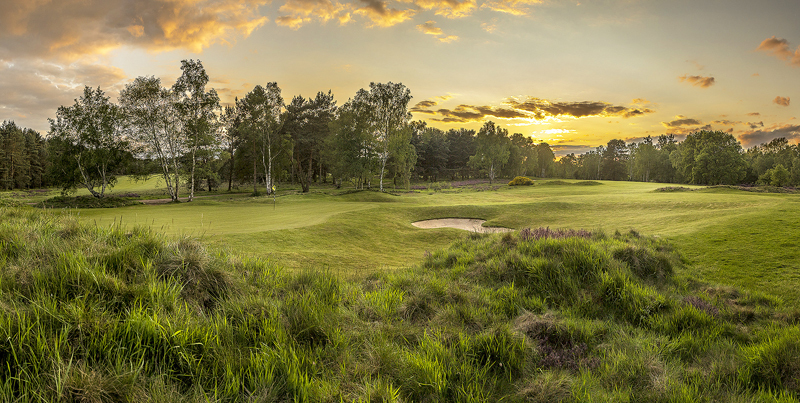 Both Courses are a test for any golfer but above all provide an idyllic environment in which to play golf, combining a mixture of heathland surrounded with testing tree-lined fairways. 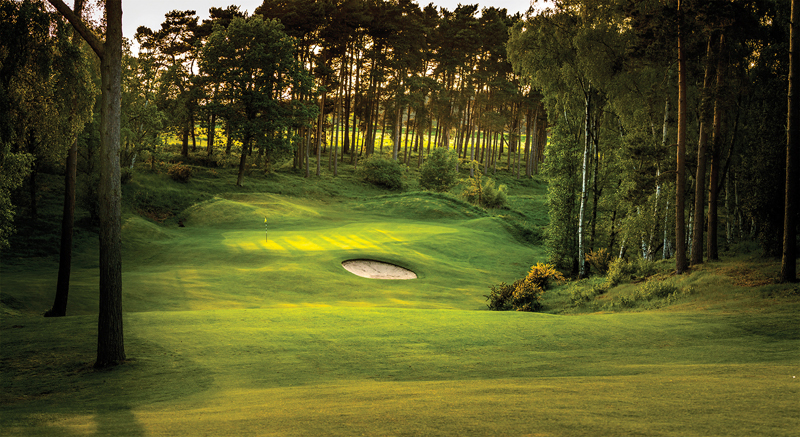 Enville Golf Club is typical of all English heathland golf courses and has the virtue of offering year round golf. At Enville we are making great strides in producing putting surfaces that will be amongst the best in the country. We strive for true, fast and firm surfaces with their already subtle undulations, a combination that will delight anybody who plays on them. Lodge greens are in play all winter, even when frosty, only coming off them for maintenance work. Not convinced? read on ………. 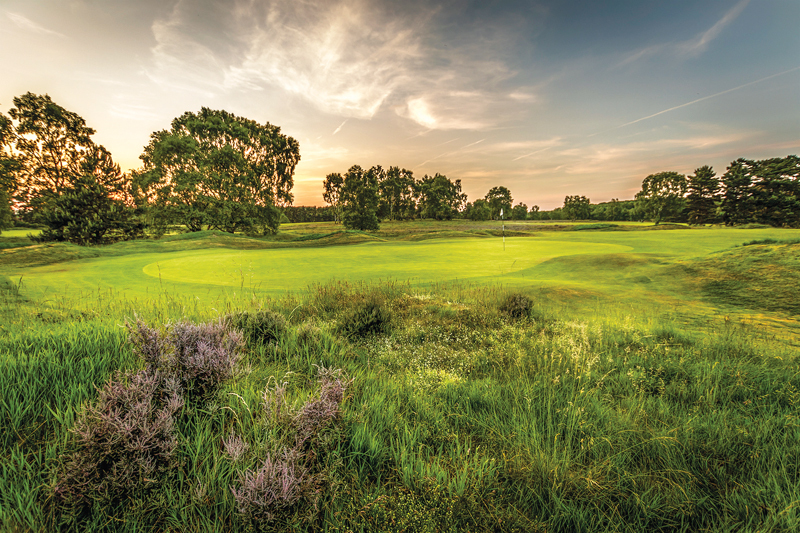 Enville Golf Club meets all the traditions of a members’ club and offers the opportunity to play two of the finest, well-draining Heathland/Woodland courses in the country. The club prides itself on a warm and friendly atmosphere and members are able to enjoy the benefits of playing 36 holes and to participate in a variety of competitions, social events or simply enjoy the more relaxing side of golf and just turn up and play. No tee time booking, two courses and all important flexibility to meet your needs as a golfer. We strive to ensure that a course is always available for our members regardless of society or tournament commitments. We feel membership of our club offers exceptional value with excellent drainage which allows year round golf. Our exclusive, all grass, Private Members practice facility is considered by many to be the best of its kind within The UK. There is a six acre short game area with three full size chipping and pitching greens surrounded by practice bunkers, open all year round and maintained to golf course conditions. The main long game area covers twenty two acres and is over 360 yards long. The main grass tee is 220 yards wide which ensures perfect practice conditions from real turf all year round (plastic mats are never used). – If you want to improve your game there is no better place to practice. Enville Golf Club is a vibrant golf club that is fortunate to be situated in stunning countryside, we feel sure that discerning golfers will find that it is a great place to be a member. Our courses are always prepared to the highest standards. 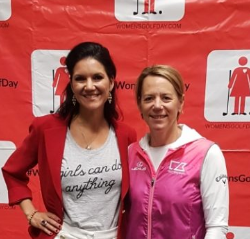 Our membership covers the whole spectrum of golfing abilities and age from Juniors and beginners in our Ladies Academy through to county players and professionals. We have an active competition section with monthly medals and stablefords together with our cup and major trophies. We run a midweek stableford from April to September open to all sections of the club, along with many social and fun competitions throughout the year. Enville currently field Scratch, B Team, Senior/Vets and West Midlands league teams from both ladies, mens and junior sections of the club. The work to develop our club has been recognized in recent years by The R&A, The English Golf Union & The PGA, who have chosen Enville Golf Club to host The Open Regional Qualifiers, The English Seniors, The Reid Trophy and in 2017, The Girls’ British Open Amateur Championship. New members are joining all the time – more than 200 in the past five years. This means our age profile is now considerably lower than it was, with this the club has benefited from the positive energy new members bring. Combine this with our modern management outlook it is not hard to see why Enville is thriving. At present we are accepting a limited number of applications for both men and ladies for Full and Associate Country Membership’s. The process for membership application is relatively straightforward and involves an application followed by an informal interview and ultimately confirmation of acceptance into the club. All applications are required to be sponsored by two full playing members of the club who have held membership for two years or longer. There is an option to pay both the yearly subscription and joining fee over a 12 month period using Premier Credit an independent finance company. For further details regarding membership options please contact Heather Mulley in the Club office or for a tour of the facilities available. A Regional Open qualifying course and the host to many more prestigious events over the years, shortly to include the English Senior Women’s Amateur Championship this May. The Highgate has developed from a pure heathland track in its inception into the seamless mixture of heathland and woodland present today. 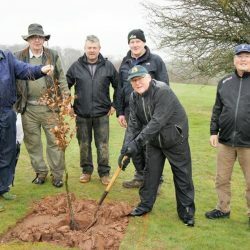 The club, in line with current ecological ideals are currently working on a heathland regeneration in certain areas. MG ambassador and Enville member Neil White gives us a brief description of his favourite holes. “The Highgate welcomes you with a relatively straight forward par-5 which settles you into your round although any shots gained can be quickly given back on the 214yd par-3 second which ramps up the difficulty and is worthy of its low stroke index. Steel yourself for Highgate’s SI 1 hole, the long; slightly uphill par-4 6th often plays into the prevailing wind to a semi-blind green surrounded by trouble. Many would happily take five and move on. As we head deeper into wooded territory a further par-5 opens up the back nine and offers a good chance of par before you are faced with a stretch of three really tough par-4s, all requiring accurate playmaking if there is any chance of you getting your par. None more so than the double dog-leg twelfth, that at 425yds requires two of your days best if you are to find the plateau green. Make no mistake about it – you won’t notice the join too much when embarking on a round on The Lodge. The Highgate’s delicious looks are mirrored here quite effortlessly. But The Lodge, beginning as it does with a short hole is slightly lesser in length with more par fours that are reachable in two for a typical mid handicapper especially on the closing stretch. Whether that makes it all a little easier or not is far from certain, many club members find the Lodge a trickier proposition entirely. Once you cross the road following the third there’s a nine hole stretch of holes that seamlessly merge into each other and around their majestic woodland surroundings. Cleverly placed bunkering, occasionally tight corners, blind spots and encroaching fern and fauna are all gathered to keep you on your toes; poor accuracy gets a just punishment. Pick your own favourites here but from our point of view the newly altered 11th has been transformed from a supporting act into a starring role. They’ve moved the green down into a quiet little copse in the corner and as the image shows it’s an inspiring view from the top of the bank to float a high approach down into this contoured target, a very receptive one too. Back across the road to a generously shortish stretch of par fours, only broken up by the tough short 17th which offers something of a club selection dilemma if it’s a little blowy. The closing holes are dominated by the heather which really comes into its own here, a wonderful late summer/early autumn sight in full bloom. The tee shot views might well encourage sensible thoughts, the further you go, the narrower the safe landing zone gets.